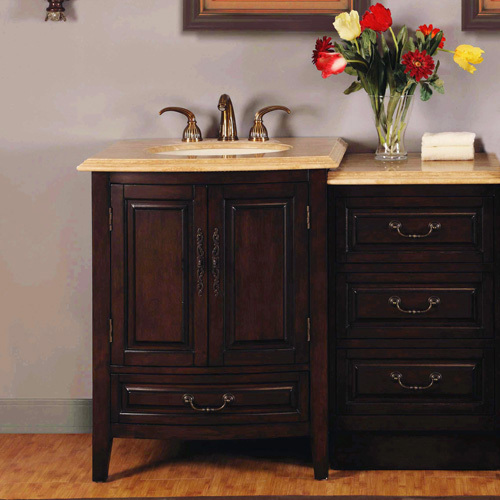 The Rometta Single Vanity offers clean lines and a traditional style that is easy to love. On top of that, underneath its Roman Vein-Cut Travertine counter top is LED lighting. 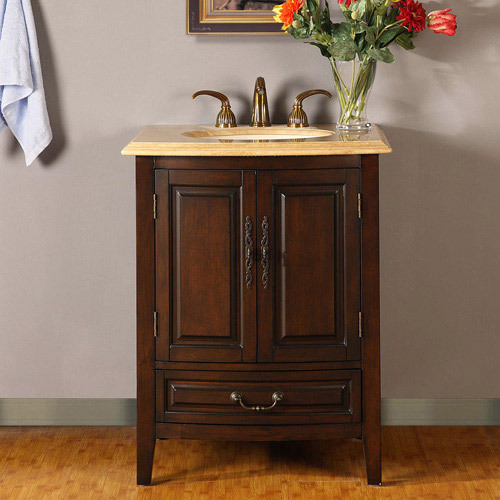 The counter top includes an under mount ivory ceramic sink and also arrives pre-drilled for faucet installation. 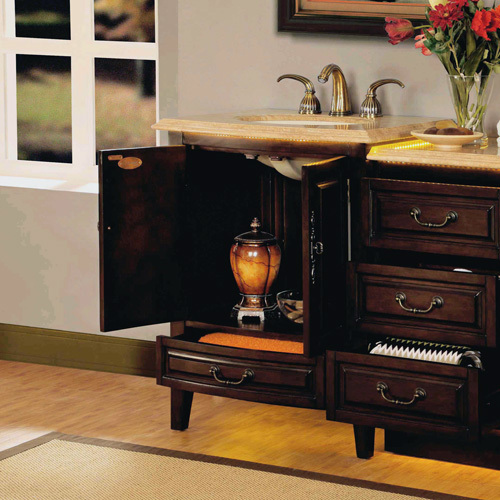 Storage is found behind its double doors and inside its single drawer. An optional matching drawer bank provides an additional 3 drawers. 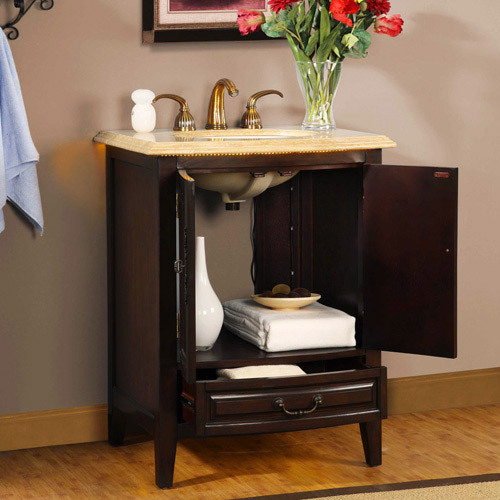 The drawer bank features the same finish and counter top. Faucets are sold separately.